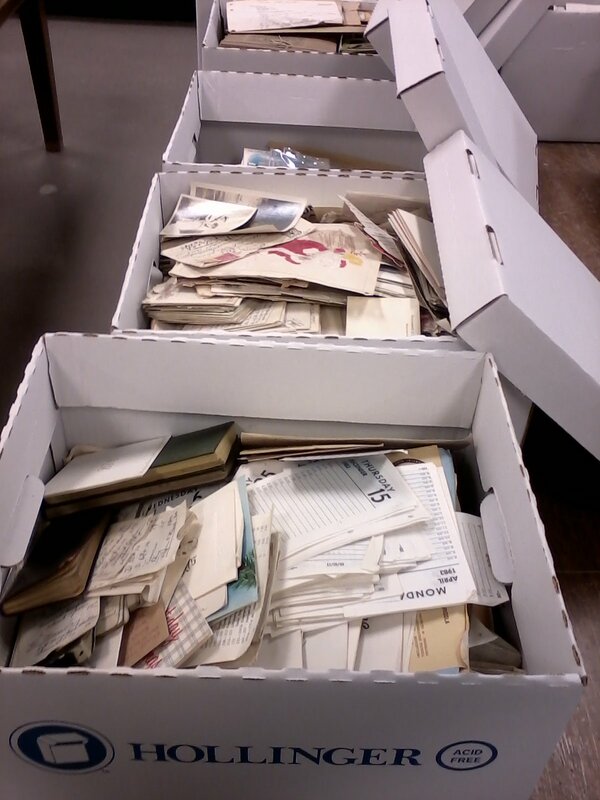 If you’ve ever done any archival research, you may be familiar with the look of an archival box, filled with nicely labeled folders, each collection accompanied by a finding aid (or inventory) of what materials are in the collection and in which boxes these materials can be found. But how did it come to look this way? 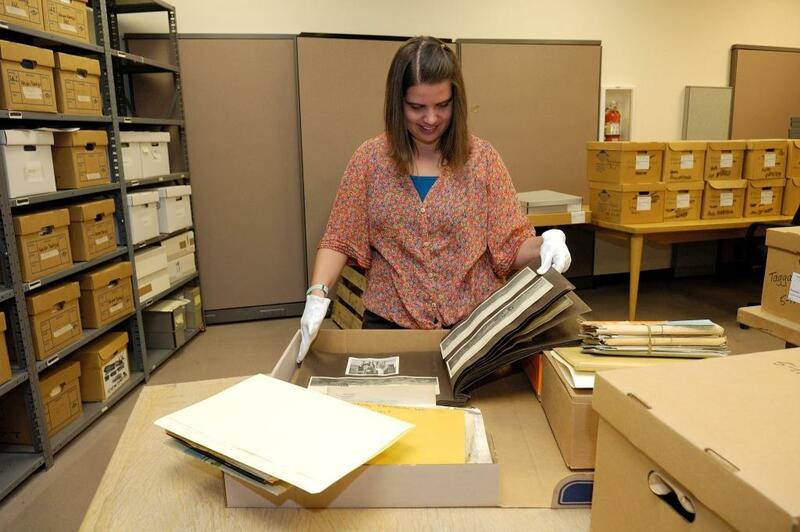 Processing Archivist Emily Christopherson hard at work with a collection. Enter the archival processor (me! ), whose job involves arranging and describing collection materials so patrons (like you!) can find what you need. 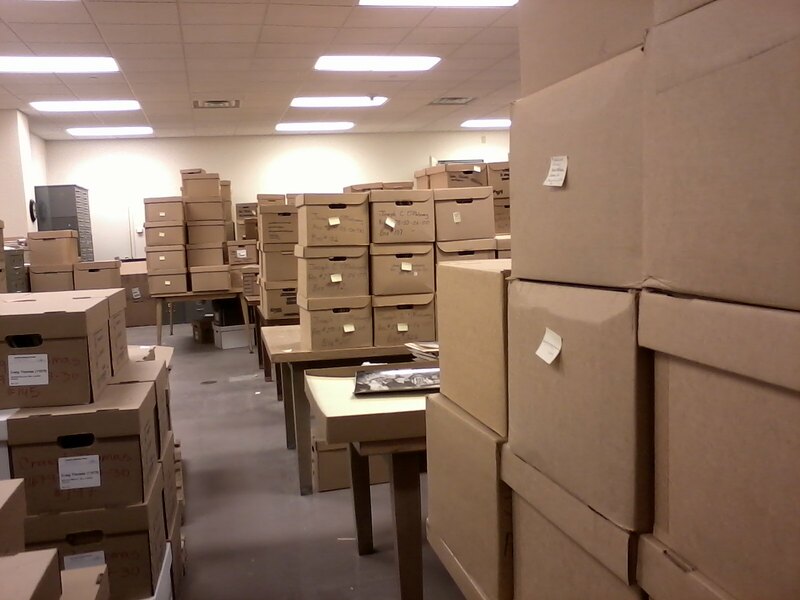 Sometimes donors hand their collections over to an archival repository in a fairly well-organized state. Sometimes donors hand their stuff over after sweeping their arm across their desk and dumping everything willy-nilly into boxes. 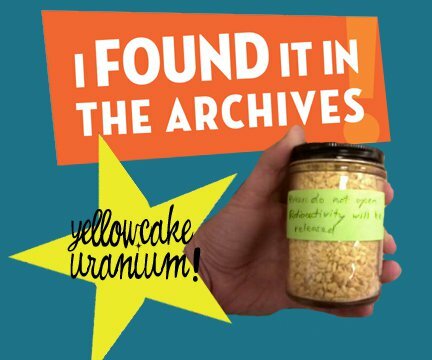 Obviously, the latter takes more time to organize and describe.What exactly is it that processing archivists do? How do they do it? Because processing happens behind the scenes, it seems quite mysterious. But really, there’s nothing secret or mysterious about it. Any papers not in folders get put in folders. A collection of archival material before it has been processed. 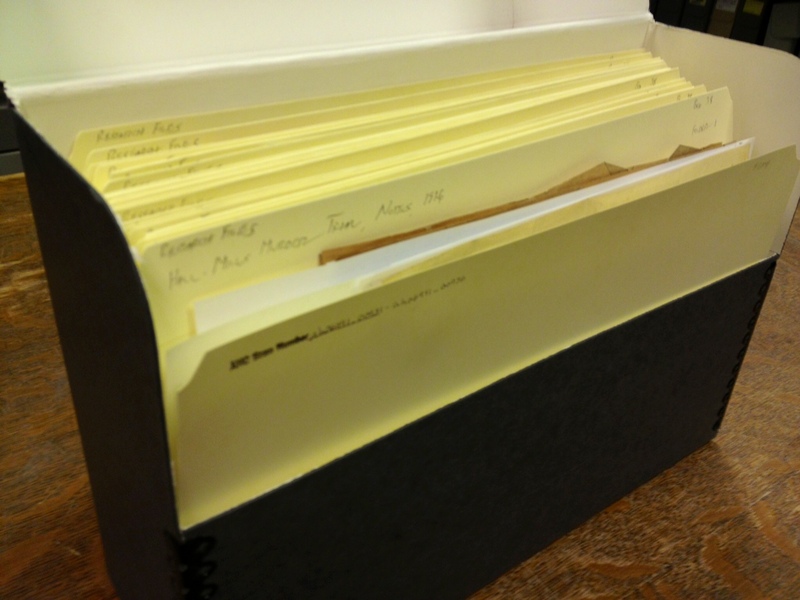 A tidy, research-ready box that Emily has processed. These folders are labeled with a descriptive term, including a date range. Items already foldered are (usually) kept in their original folders, labeled with whatever descriptive terms were given to it by the creator. As the papers are organized, the archivist makes a list of what topics and items are in which boxes. This is the “box list” portion of a finding aid, which is what enables a researcher to know which boxes to look in for whatever subject they’re studying. Without this list, a researcher may have to look through 50+ boxes worth of materials to find what they are looking for! Hopefully, with an archivist-generated finding aid in hand, a researcher can narrow down their search to only a few boxes. Many, many boxes during the processing stage. Going through so many boxes full of collection materials ensures that you’ll find lots of neat and unexpected things. 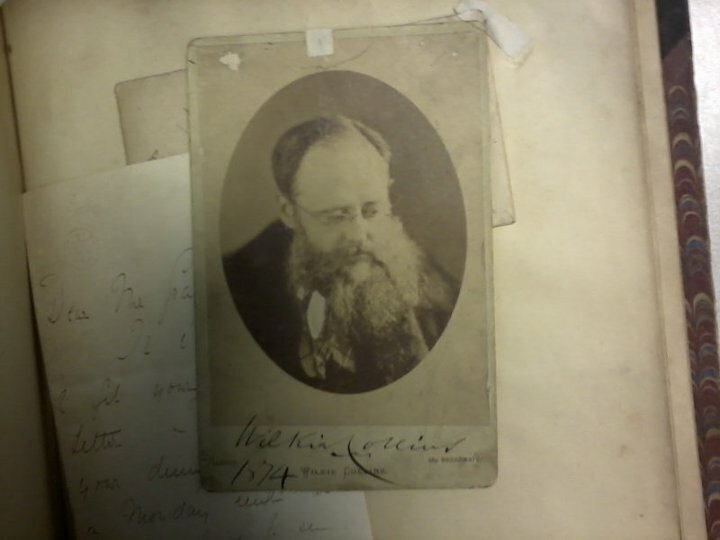 Random autographed photo of Wilkie Collins? Why not? Autographed photograph of Victorian author Wilkie Collins. Oh, look – another presidential signature (I’m partial to Teddy’s). A box of swords? I should have guessed. Archival processing may not rate very high on anyone’s list of Most Dangerous Jobs, but it does have its hazards (aside from the constant threat of tetanus). Below are just a few of the questionable things I’ve encountered the last few years while processing collections. 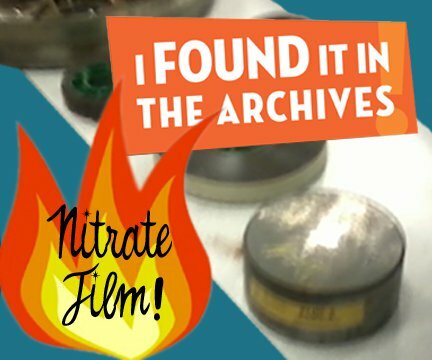 Nitrate film can spontaneously combust under the right conditions. Processing is not for the faint of heart! Hi, Emily! It’s Saturday, Oct. 27 and I’m at work. A tad bit different worksite than what you work in. Thanks for the “show” telling us what you do. I gotta say, I think I much prefer “my” library work than “yours”. 🙂 Have a good day Emily! !